In the Middle Ages, the Greeks called Bucharest Hilariopolis, which translates to the City of Joy. In the 1800s, its charm and elegance earned it the nickname Le Petit Paris. As the capital marks its 555th anniversary, BR takes a look at its history. The official Bucharest City Hall documentation presented for the capital’s 555th anniversary indicates rival claims to have founded the city from Bucur the Shepherd, the traditional candidate, and Vlad the Impaler, cited in the first documented mention, which dates the capital to September 20, 1459. Historical research brought to light the vestiges of a fortress dating back to the second half of the 14th century. The town of Bucharest was born, and the Court of the Prince, Mircea Ciobanu’s church (1558-1559), plus the small alleys of the merchants and craftsmen sprang up around this early fortress. Flowing through the town, the Dambovita river became a link with the north of the city and its lakes. Memories of the old villages live on in the familiar names of Berceni, Floreasca, Colentina and Pantelimon, all modern-day neighborhoods. 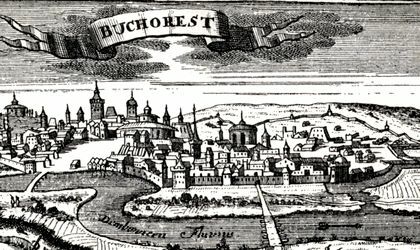 In 1659, Bucharest was made the permanent capital of Wallachia. The city continued to develop, numerous churches were erected, better fortified inns appeared and the city got its first street paved with wooden beams, Mogosoaia Bridge (1692), subsequently renamed Victoriei Street in 1878, the research found. In the 19th century, the city began to modernize, and was made capital of Romania after the union between Moldavia and Wallachia in 1862. Back then, Bucharest was the largest city in South-Eastern Europe, after Istanbul. Most of the flagship buildings of Bucur’s town date back to the reign of Carol I (1866-1914): the Romanian Athenaeum (1888), Carol I Royal Foundation Palace (1891), the Ministry of Agriculture, the Palace of Justice, the Post Palace, Sturdza Palace, CEC Palace, the Patriarchy Palace, the Military Circle, Athenee Palace Hotel and many other impressive edifices all emerged in this period. At the end of the World War I, Bucharest was considered one of the most beautiful European capitals, with its glamorous cultural and social life, elegant atmosphere and architecture earning it the moniker Little Paris. But things changed radically in the communist period, largely because of industrialization: thousands of people were moved to the capital and housed in charmless blocks of flats, which came to dominate the cityscape. Today’s Bucharest is a mix of traditional and modern, and is coming under the spotlight on its anniversary thanks to the Bucharest Cultural Center, ArCuB. The organizers have come up with a diverse program, from video mapping on the Palace of Parliament to alternative sounds, dancing in the Old City, concerts featuring Romanian artists and a gastronomic and cultural fair hosted in Cismigiu Gardens. The most eagerly awaited moment of the anniversary was iMapp Bucharest 555, an interactive video-mapping image projected on the Palace of Parliament’s facade. The program of five multimedia shows – unique in Europe – was projected by teams of artists from France, the Czech Republic, Poland, Hungary and Romania. The project featured a complex 3D image that animated the building surface with shapes and colors, making use of each architectonic element in order to customize and reinvent the impressive surface of this building, which reaches almost 20,000 sqm.